This year our Summer Meeting will be held in the charming Petyt Hall, which is next to the historic Chelsea Old Church, a landmark many of you know so well. 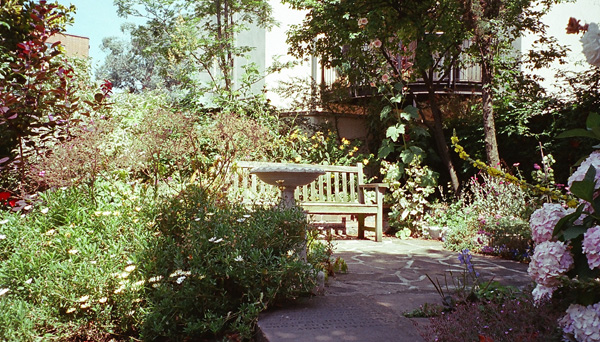 Petyt Hall has a lovely secluded courtyard garden and we are hoping it will be a beautiful warm evening so we can all stroll outside with our drinks and have a look at the delightful plants. The Reception will start at 6.30 pm and will continue until 8.30 pm. As space is limited, tickets will be allocated on a strictly first come basis; requests must be received by 23 June 2015. We regret cancellations cannot be refunded after 24 June 2015. Location: Petyt Hall, Chelsea Old Church, SW3 5LT.